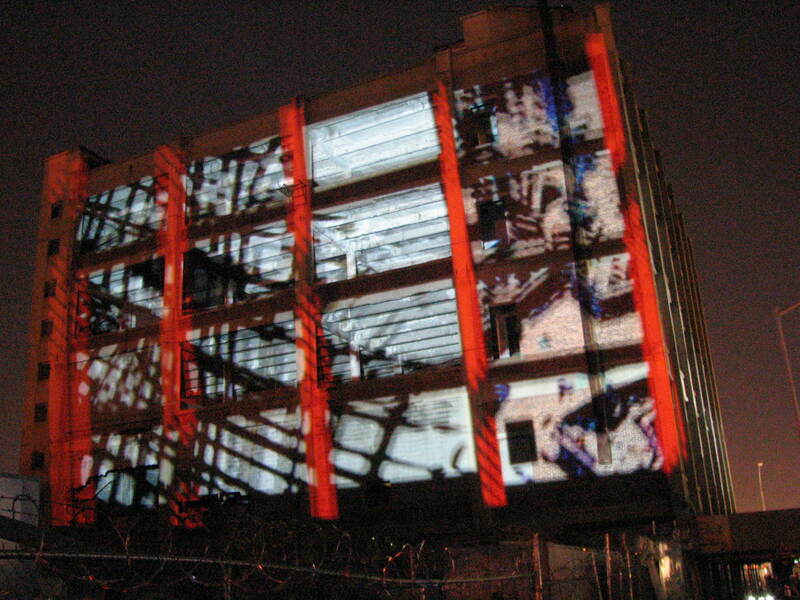 Projection mapping on the last warehouse standing from the 2006 10 alarm fire in Greenpoint. 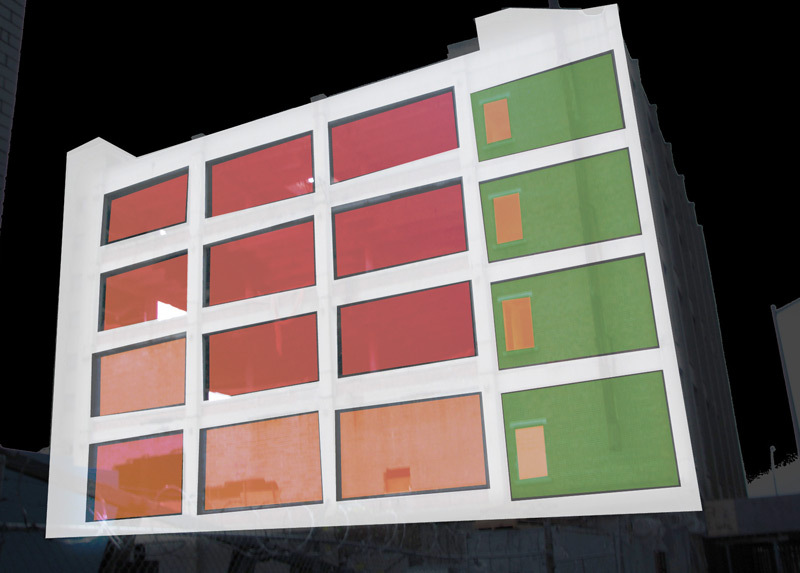 The installation, titled A-Spline, uses 24,000 lumens to bring the shell of a building to life with light and color. 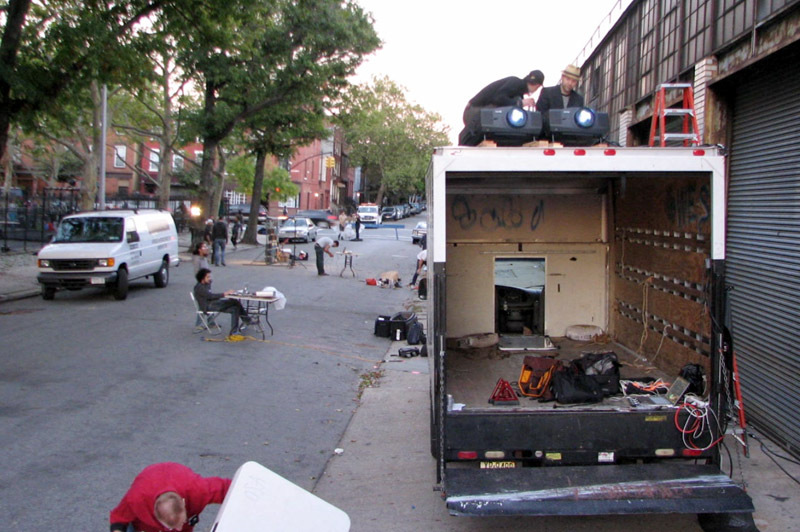 Part of the Bring to Light event, the first “Nuit Blanch” in NYC. Special thanks to Dirk of Perception Audio-Visual Services, Inc. for their generous donation of projectors for this installation.